The Society was founded. William Lord Brereton served as the first Master. Stone carving of Lord Brereton in Brereton Hall (part of a mantlepiece). The Society rang "a plain six-score on five bells". Robert Roan (Master in 1652) invented Grandsire Doubles and Bob Minor. Tintinnalogia published, dedicated to "the Noble Society of Colledge-Youths". Campanologia published, containing Stedman's Principle. Three 720s rung consecutively on the back six bells at Southwark. "The whole peal of Plain Bob Triples" believed to have been rung at St Sepulchre-without-Newgate. The first ever peal of Bob Major was rung - at St Bride's, Fleet Street. The first ever peal of Bob Royal was rung - St Bride's, Fleet Street. The first ever peal of Maximus was rung - Plain Bob at St Bride's Fleet Street. 10,080 Bob Major was rung at St Mary Magdalen, Bermondsey. This was the longest peal to date. The first peal of Treble Bob Maximus was rung - at St Saviour's, Southwark. The first peal of Stedman Caters was rung - at St John's, Horsleydown. First handbell peal of Stedman Triples. A record length of 8580 Stedman Cinques was rung - at St Michael's, Cornhill. The first peal was rung at St Paul's Cathedral - Stedman Cinques. The tenor at St Paul's Cathedral was turned in single-handed to 5088 Kent Treble Bob Maximus - the heaviest bell so rung at the time. The first peal of Surprise (Superlative) on handbells. 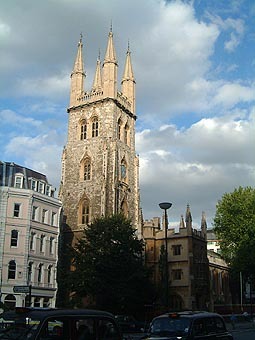 The first silent peal of Stedman Cinques was rung - at St Michael's, Cornhill. 12,675 Stedman Cinques was rung at Southwark Cathedral. This regrettably turned out to be false. 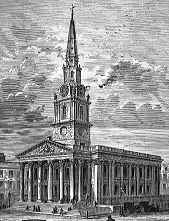 The first peal of Surprise was rung at St Paul's Cathedral - 5280 Cambridge S. Maximus. The 300th Anniversary Dinner was held at the Cannon Street Hotel where 418 people attended. "The Coffee Pot" (the Society's headquarters) was destroyed in an air raid. Much of the College Youths' property was lost. The first College Youths Peal Day. Liverpool Cathedral Tenor was turned in single-handed to Cambridge S. Maximus - the heaviest bell to be turned in in this way. The record length of 12,345 Stedman Cinques was rung on handbells. The record length of 14,144 London S. Major was rung on handbells. The record length of 40,320 Plain Bob Major was rung on handbells. 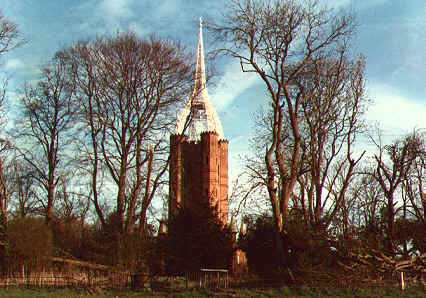 The record length on more than 8-bells was rung at St Laurence, Appleton - 22,899 Stedman Caters. The Society rang its first peal abroad - Stedman Triples at St Phillip's, Sydney, NSW. The heaviest peal of minor was rung - Cambridge S. Minor on the back 6 bells of Southwark Cathedral. The 350th anniversary dinner was held at the Porter Tun Room, The Brewery, Chiswell Street. The Society elected to admit women into its membership. 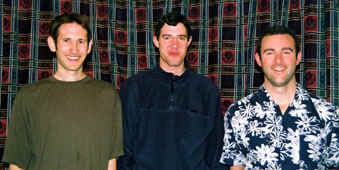 The same band break their own record with 72,000 TD Minor on handbells.